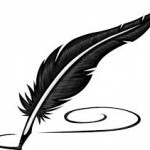 When is something worth writing about? Four years later, I have an Evernote file filled with ideas for blogs, it takes me twice as long as it should to read a professional resource as I fill the margins and the front and back blank pages with blog ideas and I capture picture quotes, on a daily basis, which spark an idea. My newest challenge isn’t coming up with ideas, it’s having the dedication to sit down at the computer and expand those ideas into a post. The other day, I shared with a colleague that a tweet I had tweeted at an International Conference had been captured in print and was used within the article about the success of the conference. He asked, “Was it an original idea?” Initially my bubble was burst! The tweet was a combination of two ideas which, in my mind, needed to be connected into one thought. To me, it had meaning! So, in my mind ~ worth tweeting! And really, that is all that counts, when you make the step towards making your thinking visible, by using the written word. If it resonates with you, then put it out there. It allows others to see what is important to you. Of course, they will judge you, some will agree, some will disagree. But in the end your own thinking will be pushed! For those of you who are ready to take that first step…..Tweet something that is meaningful to you, reply to a Tweet, post it on Facebook, write a blog, comment on someone else’s blog, write an article for your favourite magazine, write about education, write about your kids, write about your travels, write about your pets…. 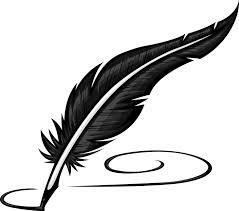 Just write something! Embrace the Nike philosophy ~ Just Do It! Where do some of your best ideas come from? For the past few years, each June, administrators in our board have been given a professional resource (or two) to enjoy over the summer. The two most recent books were Stratosphere by Fullan and Intentional Interruption by Katz. I found both resources to be informative and impactful on my work within my new portfolio. In fact I shared my thoughts on them in past posts on this blog. So this June, when Flat Army was placed on my desk, for my summer reading pleasure, I anxiously awaited for my alone time at the cottage and quickly found a quiet spot away from the bustle of the fishing expeditions, the concentration of the jigsaw completion and the aimless raft floating. Within the first few lines, my pen was poised and I was filling the margin with asterisks, question marks, and personal connections. 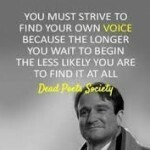 I was emphatically underlining quotes and comments which resonated with me. Pontefract effectively paints a picture of an organization where ideas flow seamlessly throughout the ranks paying no heed to position, paycheck or past experience. He challenges our status quo notion of the best and brightest ideas being brought forward by those in the greatest power positions. Instead of a system based on hierarchy, he poses the challenge of a “Wirearchy ~ a dynamic two way flow of power and authority based on knowledge, trust, credibility and a focus on results enabled by interconnected people and technology”. Within that list of criteria, which is most important to you? 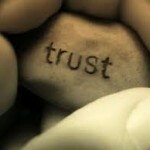 For me, the concept of trust is significant. 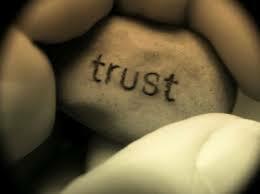 As a leader I want those whom I have the opportunity to work with to know that I trust them. I trust them to do their job, to be responsible to themselves and to those they work with. I trust them to extend their own learning and to bring new ideas forward. When they do, we’ll try them. If they work, Great, if not ~ what did we learn for the next time? A skill that I have learned is to always question myself about my intention versus what others eventually see as my actions. Trusting my team is my intention, but does it come across with my actions? I guess I better find out! It is sad to think how many innovative, exciting, trendsetting ideas sat dormant, because someone was “too paralyzed” to share. 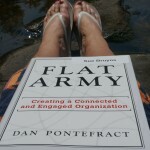 “Social media flattens hierarchy” is not a quote from the book, but a connected idea that was shared at an Edcamp a few weeks ago. How true!! Today, anyone has access to the thoughts, ideas and newest research from the greatest minds all over the world. With the quick swipe of a finger or a click of a mouse and the ability to critically analyze the validity of that information, we can process and implement what we read immediately. And just as our teachers need to come to grips with the fact that they are no longer the “only imparter of knowledge”, leaders need to appreciate that the next best idea may come from an employee who has read a book, read a Tweet, read a blog or had a deep discussion with another. In order for that employee to feel comfortable sharing that idea, the culture must be created for that to happen without any repercussions (real or perceived). No more admonishments for not following the hierarchical procedure of asking questions or sharing information. No more threats of being sent to a less desirable department/school location. No more closed communication communities. Information should flow seamlessly throughout an organization. 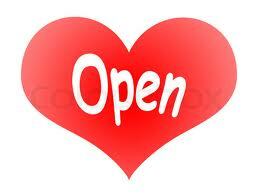 Open source, open doors, open minds and open hearts will lead to an innovative, healthy organization. No longer can we expect our leaders to be on the “cutting edge” of every new technology, new leadership concept or the latest trending idea, as information is coming at all of us at a tremendous speed and volume. But we should be able to expect that they are there, right alongside of us, learning. Trying new technologies, seeking feedback on their ideas and thoughts in online social forums, sharing their own learning challenges and successes. 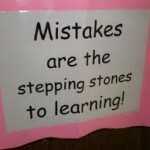 Isn’t that what we want for today’s learners? All learners ~ students, educators and those leading educational organizations. Today’s leaders need to be engaged in “Social Learning ~ serendipitous learning that happens through social exchanges that results in a knowledge negotiation”. And those social exchanges should be happening with people at all levels of the organization and worldwide via the Interent. I would be concerned if leaders only spent time with each other ~ only learning from each other. Pontefract shares pictures and stories of Mayor Bloomberg out and about within the office. Sitting with others ~ not holding “court” in his office. As leaders, how often do we immerse ourselves in the very work that we are leading? Do we leave it to others to present the final product to us or do we roll up our sleeves and experience it first hand? Experience true learning complete with the frustrations and the excitement? I wonder if we created a more connected and engaged organization where our leaders didn’t feel the burden of having to always be the “one” with the answer, would that allow them more time in the field where they, too, could be learning? Needless to say, this latest resource did not disappoint! I was thankful that I had applied a layer of sunscreen that day, as my “I’ll only be a few minutes”, turned into an uninterrupted reading of Flat Army cover to cover ~ margins filled, highlights throughout and more questions than answers. 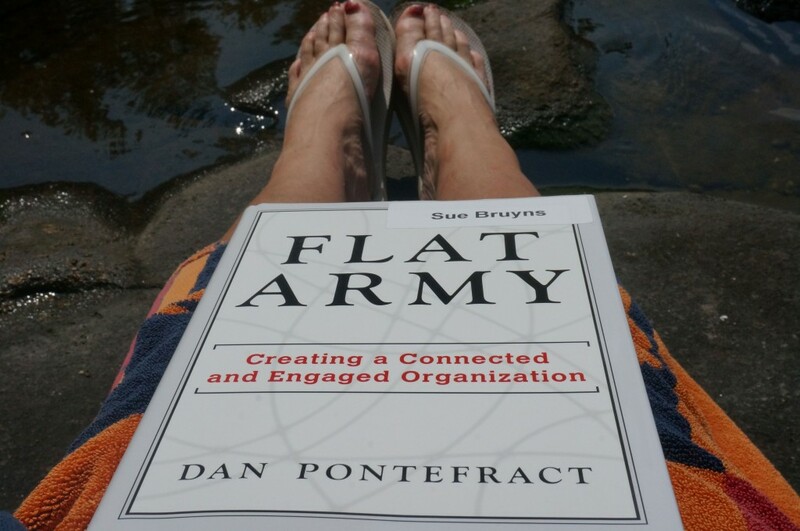 And here I am, weeks later, questions still resonating, tweets with the hashtag “flatarmy” still being posted and looking forward to chatting with other colleagues who have read the resource. 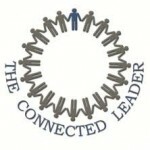 As a leader, do you consider yourself connected and open to the ideas of others? Would others consider you connected and open to their ideas? Whose Hand Do You Choose? From Laura Ingalls in her one room school house on Little House on the Prairie to Horshack’s “ Oooh, ooh ooh” in Mr. Kotter’s 70’s classroom to Rachel Berry in Glee, we have images of students raising their hands to share their knowledge. We see it every day in classes all over the world. As a classroom teacher, I’ll admit that when it came time to choose which student to share the answer, it was usually a student whom I assumed had the correct answer. Back then, my thinking was that the other students needed to know that their answer was also correct or that they had not quite figured out the right answer. I’m also assuming that I, as the teacher, wanted the affirmation that what I had taught had been internalized and “learned” by the student who was sharing the correct answer. 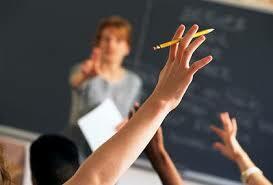 Dweck asks a poignant question ~ “Isn’t that what school is for, to teach? They’re there to learn how to do these things, not because they already know everything”. By asking the student with the right answer, I wasn’t really teaching those who needed me, was I? Back then, mistakes were something to be avoided. 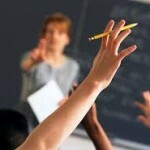 The smart students got smarter, raised their hands more and received better marks on their report cards. For those students who were struggling, we worked in small groups, where I provided them with “modified” work which they could complete, instead of having them share their answers with the whole group and taking that opportunity for all of us to learn together. As today’s educators, we need to instill a growth-mindset in our students, so that they view mistakes as an opportunity for feedback and learning. If we do that then, we’ll be supporting students “whose primary goal is to expand their knowledge and their ways of thinking and investigating the world. They will not see grades as an end in themselves but as a means to continue to grow”. We need to create learning environments where learning is truly the work that is happening. Not environments where teachers provide easy tasks, record who gets it and who doesn’t and then move on. Classrooms need to be places where standards are high, mistakes are a part of the culture and both educators and students are learning. 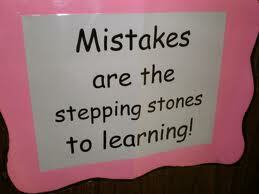 How do you handle “mistakes” in your classroom? Is learning truly at the heart of what you value in your classroom? If so, how do you make that visible for your students, your colleagues and the rest of your school community? This past weekend, I had the opportunity to travel to Philadelphia PA to attend Edcamp Leadership. It was a gathering of educators from 10 different states as well as a handful of Ontario educators. 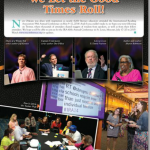 Last year, I attended a similar conference in New Jersey and was excited to interact, once again, with many of the educators whom I follow on Twitter. 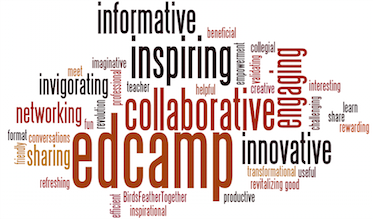 This was my fifth EdCamp experience and it proved, once again, to be an opportunity to “listen, learn and share” with like-minded leaders. As I review my notes, there are several key themes that resonated with me and a few more which caused great, deep and sometimes heated conversation on our 11 hour drive home. One common thread within each session was the question as to how to connect others to social media. Tom Whitby succinctly shared that “the worst advocate for being a connected educator is a connected educator”. If that is true then how will we get our colleagues to see the benefit of using social media to engage their staff, their students and their parent communities? We’ve experienced the same challenges when it comes to sound pedagogy in the area of inquiry based learning, problem solving or comprehensive literacy instruction. Those who are doing it, can’t imagine a world without it and can’t imagine why others aren’t submerging themselves in this vast array of professional learning and resources. 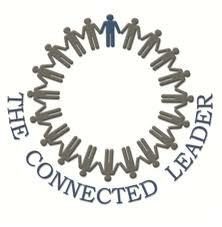 Another phrase which was shared by Jay Eitner (New Jersery superintendent) was “that being connected flattens hierarchy”. 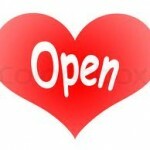 I have come to find that to be one of the most meaningful advantages of social media. Within 140 characters, one can easily read the thoughts, views and opinions of others from all walks of education as well as reach out and seek information, resources or clarification. I’m continually amazed when authors like Todd Whittaker and Dave Burgess reply to a Tweet as if they were the teacher next door. I love that! Within many organizations, you see the interaction between directors, superintendents and first year teachers ~ all very seamless. The common goal of professional learning transcends any hierarchy of position, paycheck or personal agenda. 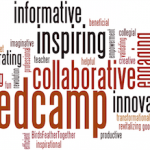 For me Edcamp is a fine blend of new resources (can’t wait to try out Smore, Teachercast and Cel.ly) and thought provoking discussions. At Edcamp Leadership there was a distinct camaraderie between many of the Edcamp Leadership organizing team and some of their inside jokes were lost on us “out of towners”, but at the end of the day, using social media and various technology tools to have an impact on the learning of others (leaders, teachers, students and parents) was at the heart of each conversation. It was a privilege to spend a day in Philly with connected, concerned and caring educators. Have you ever attended an EdCcamp? If so, what resonated with you?